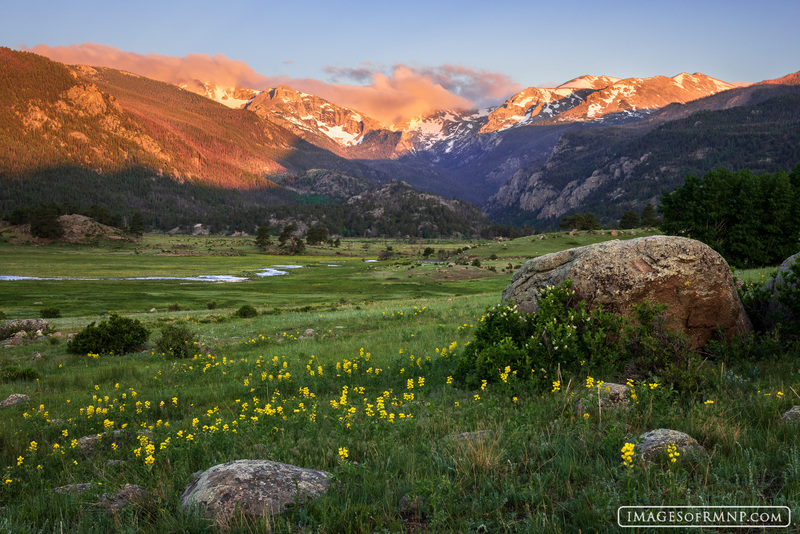 There is perhaps no more beautiful time in Rocky Mountain National Park than the month of June. This is when flowers begin to appear in the lower meadows, while the peaks above still cling to snow. The elk with their velvety antlers fill the meadows as they celebrate the feast of lush green grass. It is a month where the joy of land is visible to all. Photo © copyright by Erik Stensland.